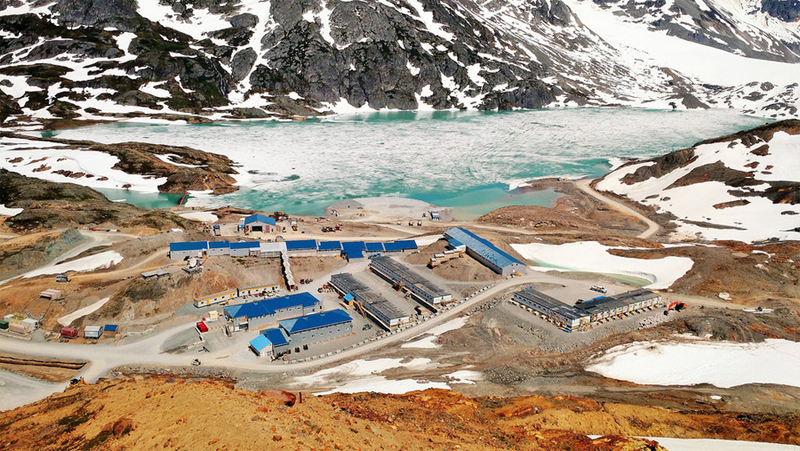 Viceroy Research said it’s shorting Pretium Resources Inc., arguing the company has artificially inflated the value of its Canadian gold mine, which risks being taken over by creditors in coming months. The New York-based short seller — which rose to prominence last year with research into financial irregularities at South African retail giant Steinhoff International Holdings NV — released a report Thursday saying Vancouver-based Pretium has distorted results from its Brucejack gold mine in the northwest province of British Columbia. Pretium Chief Executive Officer Joe Ovsenek didn’t immediately respond to an email and voicemail requesting comment. Short sellers benefit from a falling stock as it allows them to pay back shares they have borrowed at a cheaper price. In its 47-page report, Viceroy said it believes Pretium has artificially boosted Brucejack’s grades and reserves by over-relying on samples taken from a rich but thin fissure named the Cleopatra vein. Citing discrepancies between figures in company filings versus those in annual reports to the provincial government, Viceroy calculates Pretium is taking at least double the amount of rock out of the ground than it’s disclosed to investors because it’s not finding as much gold as expected. Viceroy said Pretium is seeking to burnish the mine’s prospects as it faces pressure to refinance expensive debt maturing at the end of the year. The company said last month it had $692 million in debt as of June 30. That included a $393.5 million credit facility with an effective interest rate of 15 percent maturing on Dec. 31 subject to a one-year extension, according to an Aug. 9 filing. Viceroy, which has targeted companies from Australia to the U.S. including Steinhoff, MiMedx Group Inc. and Capitec Bank Holdings Ltd., has had mixed success. It’s also become the subject of scrutiny itself and is facing a probe by German prosecutors for a March report on broadcaster ProSiebenSat.1 Media SE. Pretium shares fell 3 percent to C$9.87 at 11:51 a.m. in Toronto and are down 29 percent this year. That’s more than the 22 percent drop in the S&P/TSX Global Gold Index which has been dragged down by an 8 percent slump in bullion. Analysts remain bullish on the stock, with eight rating it a buy and two a hold, according to data compiled by Bloomberg. The average price target of C$16.49 implies a 62% return on the stock. Short interest makes up 1.3 percent of the stock’s float, down from a high of 4.3 percent on September 22, according to financial analytics firm S3 Partners.